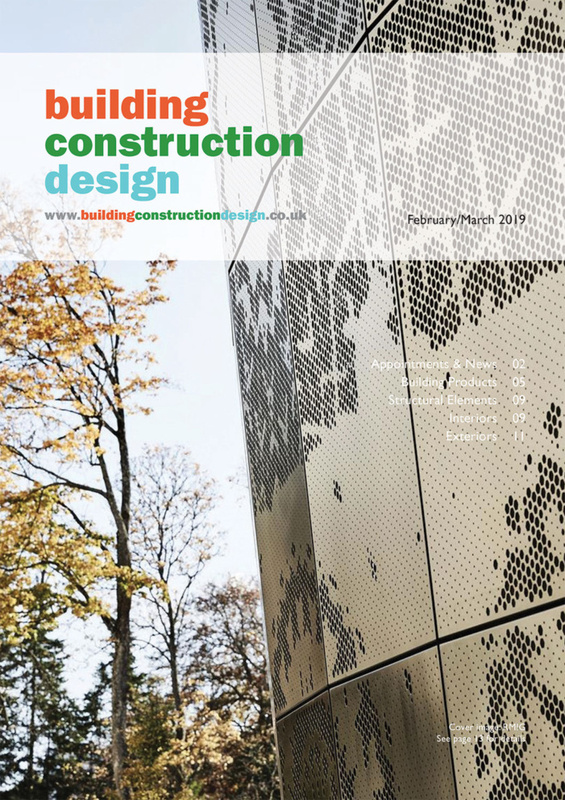 The selection of materials for creating a deck is not just a choice between timber and composite surface materials: there is also a choice to be made about the sub-frame material beneath. Steel or aluminium is sometimes used, but the main problem with a metal sub-frame is the increased cost. More usually, sub-frames are made with either wood or plastic. Each of these has its advantages and disadvantages. Timber is the more traditional material, familiar to all installers and typically the cheaper option at the point of installation. Its rigidity also enables it to span further than plastic, so it needs fewer support points. However, the problem with timber is that it decays. This can be due to the action of insect larvae, bacteria or – in particular – water damage. The speed at which timber rots, splits and warps will vary according to the quality of timber used, the treatments applied, the airflow provided and ambient dampness of the area in which it is installed. Whether the decay is fast or slow, though, all timber sub-frames will ultimately decay to a point where they cease to provide a viable structure. This is not the case with plastic, which is largely unaffected by exposure to damp, or even complete immersion in water. This not only makes it a more durable material, but also has implications for how and where it can be used. 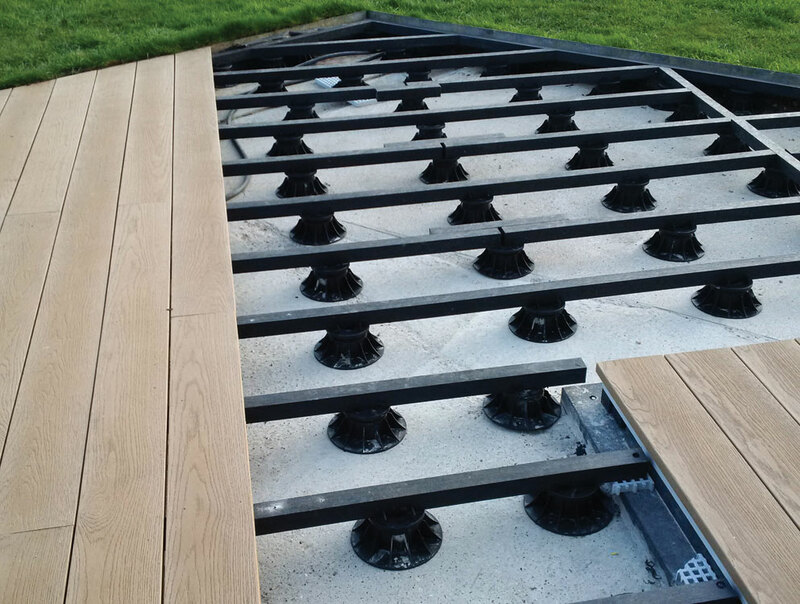 Plastic sub-frames are clearly preferable to timber in wet environments, such as boardwalks over damp ground, sites affected by high tides or flooding, or anywhere where the sub-frame is actually standing in water. instances, this amount of height just isn’t available, ruling out the use of timber entirely. Because there is no requirement for airflow when using plastic, it is possible to install decks where there is as little as 50-60 mm to work with. 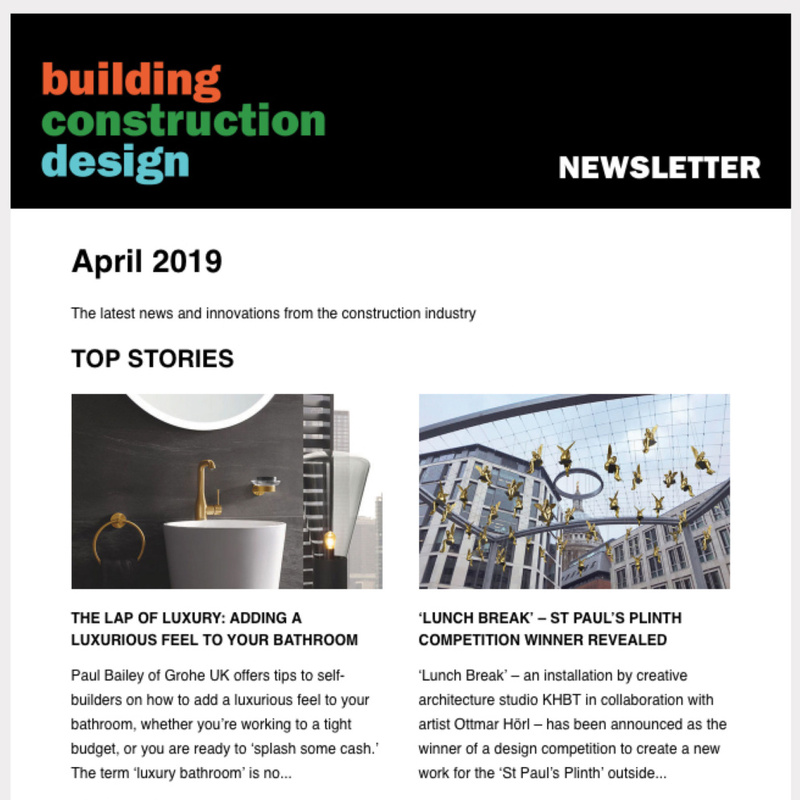 In addition, there is no problem laying plastic directly on to waterproof membranes or, with inverted roofs, on to insulation – this contrasts with timber which shouldn’t be laid directly onto either. Insulation on roofs often needs ballast added to reach the required weight load and, as plastic frames are typically heavier than timber, less ballast is required. While plastic has clear advantages in the situations described above, there is a good case for it over wood in a whole host of situations. Although it costs more at installation, its durability represents better value in the long term, and provides complete confidence for the end customer that their decks will not usually need to be lifted to carry out maintenance on the sub-frame, nor collapse beneath their feet – plastic sub-frames will typically last at least as long as any deck laid over them. 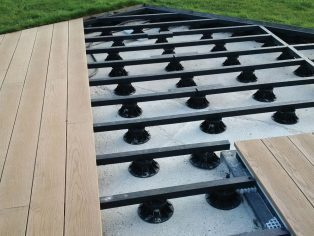 In particular, where premium composite decking has been selected ahead of wood because of its greater durability, it seems illogical then to lay it over a wooden sub-frame that won’t last as long as the decking itself! Alongside bearers, battens and posts, plastic sub-frame systems also offer joist cradles and self-levelling pedestals to make installing and levelling decks very simple. Last but not least, plastic sub-frames have a surprisingly good relationship with the environment. While the chemicals used to preserve wooden ones can leach into the surrounding area, plastic is chemically extremely stable and will cause no harm in this area. In addition, the plastic used is often from 100 per cent recycled sources, turning what was once a problematic waste material into a form where its resistance to decay is a positive benefit.